If you have recently been diagnosed with blocked fallopian tubes, you probably have a lot of questions about your fertility health. Good news! This article is for you. While researching natural therapies for blocked fallopian tubes, you have likely read some very interesting stories, but what’s the truth? This article explores some of the myths and hype about natural therapies to unblock the fallopian tubes. Myth: The fallopian tubes can become unblocked in one night. Truth: I need to be real and share that this is a process. 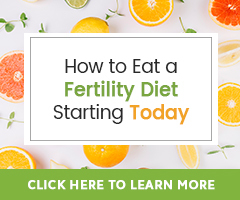 There is usually no quick fix for this fertility health challenge. You may need several diagnostic tests, procedures or consistent natural therapies over numerous months to determine whether your approach was successful. Additionally, your results will vary according to the extent and severity of damage to the fallopian tubes as well as the cause of the blockage. Myth: The herb Red Clover can unblock fallopian tubes and reverse tubal ligation. Truth: Red Clover (Trifolium pratense) cannot unblock your fallopian tubes or reverse tubal ligation. Red Clover works in a variety of ways: It’s a nourishing blood tonic, enhances circulation, and is a great herb for pregnancy preparation. Because Red Clover may help soften scar tissue, it may be supportive of fallopian tube function, but there is no evidence that it will unblock your tubes or reverse tubal ligation. Myth: Taking grated Ginger root in a tea a few times daily can unblock the fallopian tubes. Truth: Ginger (Zingiber officinale) is an amazing herb for circulation and can be useful to break up stagnation in the reproductive system. It is also thought to enhance circulation and be anti-inflammatory, both beneficial throughout the body and for fertility health. However, there is no evidence that Ginger root tea (strained and mixed with honey) can unblock fallopian tubes. You can continue to enjoy your Ginger tea, but this recipe may actually be better for a cold with chest congestion than blocked tubes. Myth: Stretching can unblock the tubes. Truth: Stretching is a wonderful way to prepare for a workout, improve flexibility and release stress, but it is unlikely to affect blocked tubes. Myth: Apple cider vinegar can open up blocked tubes. Truth: Apple cider vinegar (ACV) is not known to unblock tubes. Proponents claim that taking ACV daily unblocks fallopian tubes by balancing hormones and reducing fibroids. Fallopian tube blockage may be worsened by problems driven in part by hormone imbalance, like fibroids and endometriosis, but it alone will not correct the hormonal imbalance or heal uterine fibroids or endometriosis. Let’s keep in mind that while herbs and natural therapies promote good health and fertility in many wonderful ways, not every choice will work for a challenge such as blocked fallopian tubes. Moreover, we need to find trusted sources of information published online about herbs, natural therapies, and infertility. The right herbs and natural therapies can be used to help promote fertility health and healthy fallopian tube function. Yet, their proper use requires education and often guidance from an experienced practitioner or fertility herbalist. In addition, unblocking fallopian tubes may require other approaches, perhaps medical. Always do research on the therapies you’re choosing and make sure the websites you access are reputable. Whatever your choice of therapies, be sure to set up a follow-up HSG test to see how your program is going and what your next best steps are. Take advantage of your fertility team (RE, fertility herbalist, acupuncturist or Clear Passage therapist) and advocate for yourself on your journey. The right path for your renewed fertility could be just around the corner!